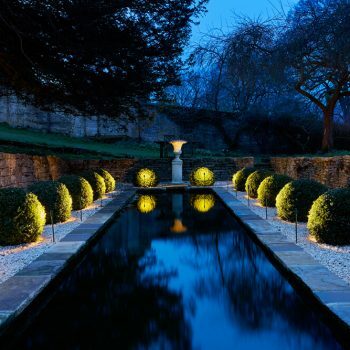 If you are considering lighting your garden/landscape, do remember firstly that a little light goes a long way at night. 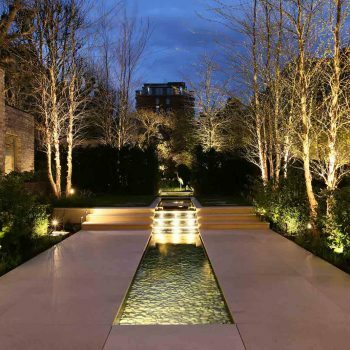 See our top garden lighting tips and ideas below to help you light beautifully and use the right exterior light fittings for the required task. Use lighting selectively and remember that darkness can also be used to great effect – to conceal any less attractive areas. Decide on the areas you want to light, what your key features are and focus on these. 1.The key to successful landscape lighting is flexibility. LED exterior spike lights are ideal as they can be easily moved to suit the changing seasons and planting growth. The Kew spiked spotlight and a directional Hampton spiked floodlight allow you to light your landscape extremely effectively so you really don’t need to feel guilty about energy consumption. For larger landscapes, the Kensington and Richmond are an ideal solution. 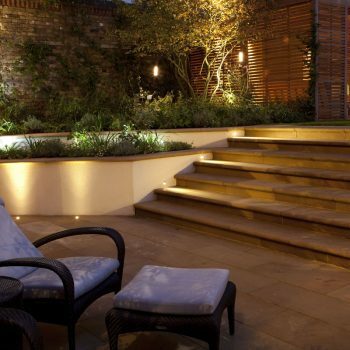 2.Do light steps in your garden for safety reasons as well as aesthetics. The Riena or Lucca External recessed into the side wall, are ideal solutions and create atmosphere as well as reduces the risk of anyone tripping. Alternatively, for an instant garden lighting effect use night lights in small glass holders which provide a pretty way to emphasise a staircase or low level wall. Consider using the Riena or Lucca to uplight a wall or the side of a pot. 3.Water features are a wonderful medium to light as the movement and refraction creates patterns which reflect on the surrounding area. Use a simple underwater spotlight under a water flow or, alternatively, consider using fibre optics within water jets to create a magical effect candle light or for the ultimate, think of adding fibres set into the base of a pool at random appearing almost as stars. 4.Lighting key features such as statues ensures the focus is still on them at night. 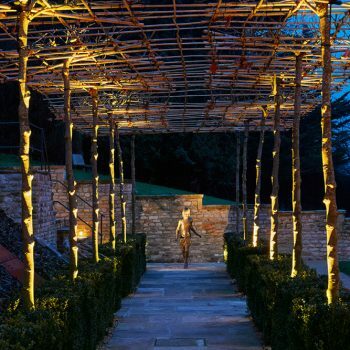 The tree trunks in this pergola are lit with spiked Kensington Spotlights which are also used to cross light the statue at the end. 5.Most garden lighting fittings are black but the ones that usually blend into gardens best are olive green. Copper fittings can also be good as they patinate to a neutral green colour with age. See how these Richmond floodlights almost disappear it the garden but work hard lighting up the box balls to create a stunning vista. 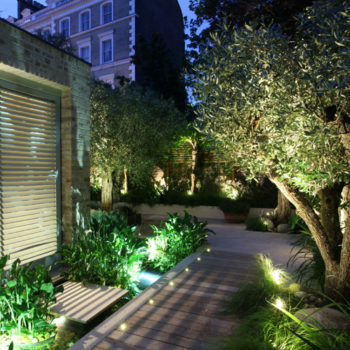 6.Consider how your approach to your house or front garden will look at night. This is the first impression that friends have when they arrive so it sets the scene. Light up key features such as trees, shrubs or the facade to create a warm welcome. Make sure you avoid security lights which are glary and will wash the space with too much harsh light.